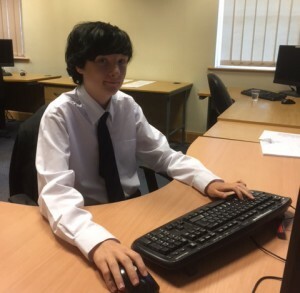 This week, we were delighted to welcome Stuart Cameron Riddell a 14 year old student from Lees Brook Community School in Derby, UK and son of our global Support Manager Stuart Riddell. STRUMIS had no hesitation in offering Stuart Cameron a week’s work placement so he could learn more about our global leading software packages. With a keen interest in Forensics and Criminology, Stuart Cameron quickly became familiar with the STRUMIS interface and how the industry concepts apply such as Drawing / Mark / Mark Items / Phase / Lots. Stuart Cameron excelled in importing material lists into STRUMIS, pushing them through Lotting / Nesting (Linear & Plate) / Production Control and testing Beta versions on Windows 10 for when it gets released.